A passion for living a balanced life brought Susan James to the ancient practice of Ayurveda in 2008. Finally coming to the conclusion that Ayurveda provided answers to all her health and wellness questions, she attended the Ayurvedic Health Counselor certification program at Kripalu Center for Yoga and Health in 2016 to deepen her understanding of the 5000-year-old science of life. Having practiced yoga in classes and on her own for years, she learned in the Ayurveda program how deeply healing yoga can be. She was drawn to become a certified Yoga Teacher to offer this healing practice along with Ayurvedic Health Counseling. 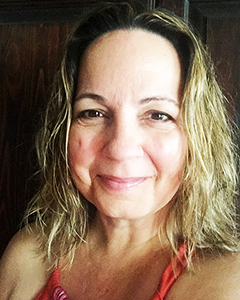 She opened Sunshine Studios of the Finger Lakes, LLC to bring the simple and ancient solutions of Ayurveda, Reiki, and Yoga to individual and corporate clients. Her focus on women’s health and workplace wellness comes from a lifelong quest to find answers to her own questions about how she operates and work that is both purposeful and rewarding. Having found some answers, she wants to share the tools to help others find it for themselves. In addition to her law practice where she represents parents in private and agency adoptions, she runs Sunshine Studios of the Finger Lakes from the lush landscape of Upstate New York as a place for gentle forward movement for all. I am honored to be teaching yoga at Ryan Chiropractic and Wellness Center. When I started practicing at their studio a couple of years ago, I was instantly in love. Sometimes you just find your people and you know it’s a match. To be able to join their team is a dream come true. Susan James is the founder of Sunshine Studios of the Finger Lakes, LLC. She is a yoga teacher, an Ayurvedic Health Counselor (National Ayurvedic Medical Association board certified), Reiki practitioner, writer, and attorney.